Dear God, Jesus, Mary, All the Angels and Saints, I really really need your help. 1. Pls let all my bad luck go away and fill me with lots of good luck. Do not let me be upset anymore, but to be happy. It's Xmas. Pls take away all my sufferings and let me be filled with joy. This year has been a very bad year for me, and I am really tired. Pls have pity on me and say yes to my prayer. 2. Pls give me a very good boyfriend before Xmas. I know this needs a miracle, but I know you can do that. 3. Pls make KL come back to my side this month and love me a lot. Pls make that he will be extremely sticky to me, want to meet me everyday, go out with me. God, Jesus, Mary, All the Angels and Saints. I really need your help and miracles, I am really very tired, lonely and helpless. If you say yes to my prayer, I promise I will go back to church. Dear One, I really don't think its a good idea to bargain with God. I read and re=read your post. I read a lot of Please God... but not one "Thank-You". And then to end it with "then I'll go back to church". I'm no "Dear Abbey" advice column but...First go back to Church...Mass every day...Rosary - not five but at least 15 decades if not 20 which would include the luminous...And above all pray "The Chaplet of Divine Mercy" every day at 3 PM and if possible at 3 AM too. you have fallen, let Jesus take yur hand, to help you up. Let His light Shine thorough you, your prayer life and your good works. Follow the above recipe for your prayer life. You may not find your knight in shining armor but I guarantee you will have peace in your life and your soul because you will have put on the "Shining Armor" of Christ crucified. If for some reason the above does not work then you must also add Fasting to your prayer life. But that's another whole story. 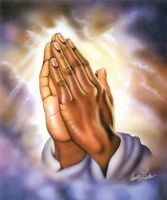 If you have any prayer requests "Thank Him in advance" but please Never bargain with God!! !